Alien-hunters claim to have spotted a disc-like spacecraft that bears a striking resemblance to the Star Wars Millennium Falcon on Google Maps. Have Han Solo and Chewie stopped off on Earth for a few drinks? Probably not – but UFOlogist Scott Waring seems to think it’s definitely a vessel from outer space. Just like he thought a water tower in Romania was definitely a parked UFO, and a shadow in the water on google maps was definitely the missing MH370 plane. But who knows? He could be right this time. Finding the UFO requires some time-scale fiddling on Google Maps, but Waring claims the saucer is located in a ‘climate controlled hanger’ near the ‘third dry lake left of Area 51’, in a place called Area S4 – a ‘top-secret facility’ an ex-Area 51 employee claims housed UFOs in 1989, The Daily Mail reports. The creator of UFO Sightings Daily says he first spotted the 30-metre spacecraft in 2010 hovering over a location within Area 51 and said it was stored in the hanger and found at the coordinates 36°55’35.30″N 116° 0’25.41″W. This is a climate controlled hangar that holds a 90ft disc. The hangar was built around the disc, and apparently they had difficulty flying it in the beginning. There are often two or more small passenger planes to carry scientists in and out secretly. In his 2010 post, the conspiracy theorist gave instructions on how to find the UFO using Google Maps and urged his viewers to find it themselves before Google deletes them. And apparently he was right. You can’t find them anymore. Is he right? 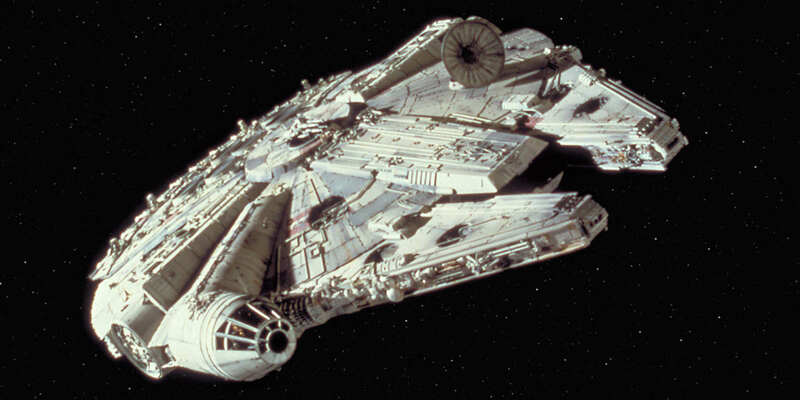 Has the Millennium Falcon landed on Earth? Has Google Maps revealed a 30-meter 'Millennium Falcon' UFO inside Area 51?